Facebook [facebook.com] reveals why it's forcing workers to swap iPhones for Android | ZDNet: "... The move, according to Wired, is an entirely pragmatic decision that stems from the company's ambitions to grow its user base of 1.5 billion people. While smartphone penetration in the US and Europe has reached saturation point, handset adoption is accelerating in places like India, where users prefer low-cost Android devices..."
Roll Up Your Sleeves at a Finance Magnates London Summit Workshop | Finance Magnates: "In today’s technology driven world, one’s domain name is an increasingly significant factor in the success of their business. Sedo is a domain marketplace, one of the largest in the world. Solomon Amoako, an executive of this company [Sedo] that has over $6 million of transaction volume a month, will run the workshop called ‘Choosing A High-Impact Domain – Key to Success’. He will discuss just how important domains are, and how to find one that is appropriate for your business." Matt Huisman: How to have your own domain name with emails and a blog for $13 a year! "... Our DNS will be provided by CloudFlare. Our emails will be routed using MailGun to a free Gmail account; Our blog will be provided by Blogger..."
GoDaddy launches web program for small businesses - Firstpost: "...“The launch of the program allows the company to build an ecosystem of web developers and designers to serve the needs of the SMB market in India,” said Rajiv Sodhi, vice president and managing director at GoDaddy India and Australia." Chief Counsel Advice Discusses Acquired Domain Names - Forbes: "A recently released Chief Counsel Advice memorandum (“CCA”) discusses the tax consequences of acquired internet domain names from the secondary market. The CCA references “non-generic domain names” and “generic domain names.” ..."
IT Business Edge -The Web's Shadiest Neighborhoods: What You Need to Know: (slides) "... To avoid getting slimed, businesses and consumers need guidance to understand how safe, or how shady, these new TLDs may be considered for web security purposes..."
XYZ wins Verisign false-advertising lawsuit - L.A. Biz: "... XYZ claims legal bills in the seven-figure range and disclosed that Negari is short-selling Verisign stock in a bid to pay down some of those expenses." Verisign Rating Increased to Buy at Zacks (VRSN): "Verisign (NASDAQ:VRSN) was upgraded by Zacks from a “hold” rating to a “buy” rating in a note issued to investors on Thursday, MarketBeat reports. The brokerage presently has a $91.00 target price on the stock. Zacks‘s price objective indicates a potential upside of 12.48% from the company’s current price..."
Why do ALL of the world's most valuable startups use dot COM domain names and not another TLD (top-level domain)? "... First question is on the recent filings or documents that we saw filed on the SEC at your website. The SEC is currently asking for more segments' margin disclosure. What is your plan to address this, because the documents that were filed so far really don't indicate what you're planning to take? "... on the Bombora deal I think you said $2.8 million of revenue contribution. Did you all give the EBITDA contribution? I know it would be small, but be curious to know what that might have been. If you're able to disclose that? "I don't think we gave the EBITDA contribution, but I think in our explanation of expenses, we did include $2.7 million of acquisition-related operating expense and that should be primarily Bombora." Based on the above, it is clear that the expected (approximately) $500 million loss disclosed in the 10-Q (see above and below), will have a "disproportionate impact on operating margin"--meaning impact on EBITDA and profits. On the Bombora deal, it appears to be a low-margin business at present: $2.8M revenue less $2.7 (approx) expenses= $100,000 EBITDA contribution for the quarter--Caveat Emptor! "In addition to the other information set forth in this Quarterly Report, you should carefully consider the risks discussed in Part I, Item 1A. “Risk Factors” in our Annual Report on Form 10-K for our fiscal year ended December 31, 2014, filed with the SEC on February 13, 2015. The risks discussed in this Quarterly Report and in our Annual Report on Form 10-K could materially affect our business, financial condition and future results. The risks set forth below and described in our Annual Report on Form 10-K are not the only risks facing us. Additional risks and uncertainties not currently known to us or that we currently deem to be immaterial also may materially and adversely affect our business, financial condition or operating results. "When our seven contracts with North American Portability Management LLC are terminated, the timing of which is uncertain, our revenue and profitability may be materially adversely affected. "We cannot be certain whether our contracts to provide local number portability services will be extended beyond September 30, 2016. Once the contracts terminate, our annual revenue will decrease by approximately $500 million. As a result of the uncertain contract end date and due to our cost structure, which is organized by function, the impact of the termination of the contracts on our income from operations is not currently quantifiable. At the time of termination, our revenue and profitability will be dependent upon the success of our remaining business. If we are not able to replace this lost revenue and adjust our operating plans to support our remaining business, our total revenue and profitability may be materially adversely affected." UPDATE: Neustar misses on revenue: NeuStar (NYSE:NSR): Q3 EPS of $1.29 beats by $0.17. Revenue of $261.7M (+7.3% Y/Y) misses by $0.31M. Press Release. 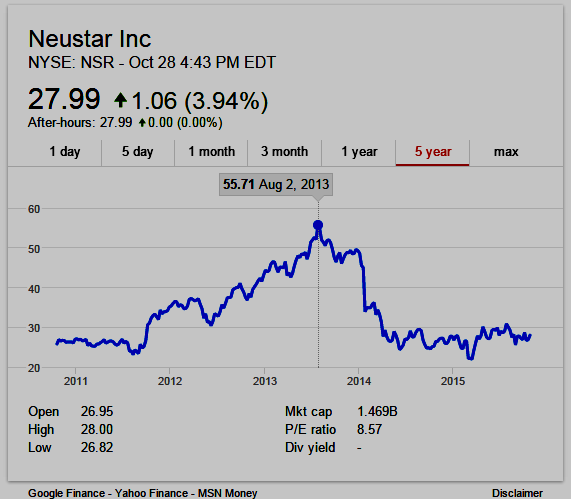 Neustar stock closed today DOWN 3.93% at $26.89 (price decrease $1.10 ). Web.com (NASDAQ:WWWW): Q3 EPS of $0.62 beats by $0.02; Revenue $140.4M (-2.4% Y/Y) beats by $0.85M. Earnings Release. Neustar, Inc., (NYSE: NSR) will report Q3 2015 results on Thursday, October 29, 2015, after the close of regular trading. The third quarter earnings release will be followed by a teleconference and webcast beginning at 5:00 p.m. ET. For the live or archived webcast via the Internet, go to the Investor Relations section of the Neustar website: http://www.neustar.biz/about-us/investor-relations (source: NSR press release). To participate in the teleconference: 800-765-0709 (international callers: 913-312-0860) and enter PIN 447718 (a few minutes prior to the call in order to register). A replay of the call will be available through 11:59 p.m. (Eastern Time) on Thursday, November 5, 2015 by dialing 877-870-5176 (international callers should dial 858-384-5517) and entering PIN 447718. About Neustar, Inc.(source: Neustar): Neustar, Inc., is the first real-time provider of cloud-based information services, enabling marketing and IT security professionals to promote and protect their businesses. With a commitment to privacy and neutrality, Neustar operates complex data registries and uses its expertise to deliver actionable, data-driven insights that help clients make high-value business decisions in real time, one customer interaction at a time. Neustar is also a domain name registry operator for top-level domains (TLDs) such as .biz, .us (ccTLD for the U.S.), .co (ccTLD for Colombia), and other TLDs, (.nyc, .travel) as well as providing services for other TLD registry operators. The NPAC contract (FCC's Numbering Portability Administration Contract) accounts for over 100% of Neustar's EBITDA;. "Neustar risks breaching debt covenants in 2016 and 2017, and is unlikely to be able to refinance $300M in Senior Notes maturing in 2018;"
Domain Mondo's Favorite Quotes from the CCWG-Accountability process. Video above: CCWG-Accountability Co-Chairs' statement read by Co-Chair Leon Sanchez at ICANN 54's Public Forum, October 22, 2015, Dublin, Ireland. The group reached broad agreement to move forward with the Sole Designator as the new reference enforcement model [instead of the 2nd draft proposal's Single Member Model] for the next draft proposal. The group will next attempt to finalize "patching" the model to alleviate any outstanding concerns on their next draft proposal. The group begun defining a consensus based decision-making model, which includes a community consultation period. Discussions on the topic were informed by concerns raised in the Public Comment on the 2nd Draft Report [which proposed Single Member Model] about unintended concentrations of power. The group confirmed support for the proposed IRP enhancements, and is now moving into the implementation phase. To spearhead this phase, a drafting sub-group with expert support will be constructed to develop and draft bylaws and detailed operating procedures. The group has identified a balanced process and approach for the One-Year Operating Plan and Budget, which was an outstanding item coming into Dublin. The group confirmed a decision method for removal of a director appointed by the Nominating Committee, and a separate decision method for removal of a director appointed by an Advisory Committee orSupporting Organization. The group confirmed its support for a clarification of the Mission Statement and articulation of the Commitments and Core Values. An example of a clarification includes ICANN's ability to enforce agreements with contracted parties, subject to reasonable checks and balances. The group reached consensus to include a general human rights commitment into the Bylaws. However, further work is needed on language and has been tasked to the Human Rights Working Party. The group finalized outstanding details of the incorporation of the Affirmation of Commitments Review into the bylaws. There is high confidence that these bylaws are nearly ready for consideration in terms of implementation. The group adopted a focused list of Work Stream 2 items, with an emphasis on transparency requirements. There was also broad agreement to bring some of these transparency requirements into Work Stream 1 in consideration of the discussions around the Sole Designator enforcement model. Thomas Rickert: "Fadi … take the slide and send it to the list…"
Fadi Chehade: "I'm not on the list … I'm not going to be steamrolled…"
Long Twitter Contrarian, $TWTR Oversold: Twitter - twitter.com - (NYSE: TWTR), closed down yesterday in after hours trading at $27.36, based on yesterday's Q3 2015 Earnings Conference Call (Webcast): Twitter beats estimates, but guides light; shares tumble | Seeking Alpha: Twitter Q3 EPS of $0.10 beats by $0.05. Revenue of $569.2M (+58% Y/Y) beats by $9.6M. Expects Q4 revenue of $695M-$710M, below a $739.7M consensus. Shares -10.3% after hours. Jack Dorsey - Chief Executive Officer: "... We continue to grow the number of people who use Twitter, now totaling 320 million monthly active and 307 million excluding SMS Fast Followers. Together with our logged out audience of over 500 million people, which is still growing sequentially, that’s over 800 million people who use Twitter owned and operated properties every single month, and that doesn't include the over 1 billion unique visits monthly to websites with embedded tweets. As we’ve said on our last earnings call, our focus is on three things, a more disciplined execution, simplifying our services and better communicating our value. We have made meaningful progress across all three. First, let's talk about our execution, we simplified our roadmap around a few big breaths across Twitter, Periscope and Vine that we believe represent our largest opportunities, assigned leads for each major project initiative and fully staffed those teams...." (emphasis added). Caveat Emptor and see Disclaimer at link below, but really, would you bet against @Jack & Co? A New Way to Interact With Machines - Magic Leap CEO Rony Abovitz describes how his company will change the way people interact with computers and media at the WSJDLive 2015 conference in Laguna Beach, California. Published on Oct 21, 2015. Magic Leap: "We created something new. We call it a Dynamic Digitized Lightfield Signal™ (you can call it a Digital Lightfield™). It is biomimetic, meaning it respects how we function naturally as humans (we are humans after all, not machines). In time, we began adding a number of other technologies to our Digital Lightfield: hardware, software, sensors, core processors, and a few things that just need to remain a mystery. The result of this combination enabled our technology to deliver experiences that are so unique, so unexpected, so never-been-seen-before, they can only be described as magical." Magic Leap | CrunchBase: "Augmented Reality, Video, Hardware + Software, Technology, Wearables"
Magic Leap is a Unicorn and on its way to Decacorn status: Magic Leap close to raising $1 billion - South Florida Business Journal: "Dania Beach [Florida] startup Magic Leap is close to inking a $1 billion financing round, two sources close to the deal told the South Florida Business Journal.The transaction will value the company at over $4.5 billion, the sources said. That valuation is more than twice what the company tipped the scales at in its last financing round." CUPERTINO, California, Earnings Press Release, October 27, 2015: Apple® today announced financial results for its fiscal 2015 fourth quarter ended September 26, 2015. The Company posted quarterly revenue of $51.5 billion and quarterly net profit of $11.1 billion, or $1.96 per diluted share. These results compare to revenue of $42.1 billion and net profit of $8.5 billion, or $1.42 per diluted share, in the year-ago quarter. Gross margin was 39.9 percent compared to 38 percent in the year-ago quarter. International sales accounted for 62 percent of the quarter’s revenue. The growth was fueled by record fourth quarter sales of iPhone®, the expanded availability of Apple Watch®, and all-time records for Mac® sales and revenue from services. Sales of the latest iPhone 6S are not the only things on Wall Street's radar when Apple reports earnings Tuesday. WSJ 'Heard on the Street' columnist Dan Gallagher explains what else investors will be parsing. UPDATE: Q3 EPS of RMB3.63 beats by RMB0.21. Revenue of RMB22.17B (+31.7% Y/Y) beats by RMB850M. Tuesday, October 27, 2015 at 2:00 p.m. PT / 5:00 PM ET. Twitter Reports Third Quarter 2015 Results (pdf): Twitter, Inc.has announced financial results for the quarter ended September 30, 2015. Video above: Facebook CEO Mark Zuckerberg At Tsinghua University, Beijing, China, this past weekend. "Zuckerberg's relentless China charm offensive has also included hosting China’s Internet czar at Facebook’s Silicon Valley headquarters last year, and leaving a copy of Xi's [Chinese President Xi Jinping] collected writings in prominent view. A state-run news outlet in China later reported that Zuckerberg told the official, Lu Wei, about the book: "I want my colleagues to understand socialism with Chinese characteristics." (That's Communist party-speak for China's blend of capitalism and authoritarianism.)" "We operate two root zone servers and are contracted to perform the Root Zone Maintainer function. Under ICANN’s new gTLD program, we face increased risk from these operations. "We administer and operate two of the 13 root zone servers. Root zone servers are name servers that contain authoritative data for the very top of the DNS hierarchy. These servers have the software and DNS configuration data necessary to locate name servers that contain authoritative data for the TLDs. These root zone servers are critical to the functioning of the Internet. 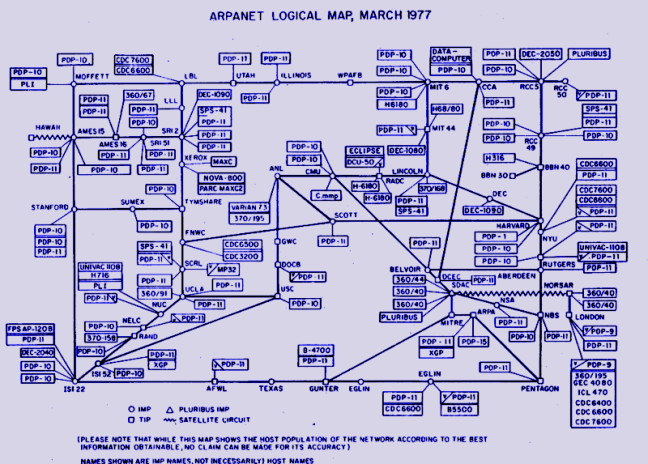 Under the Cooperative Agreement with the National Telecommunications and Information Administration (“NTIA”) of the DOC [U.S. Department of Commerce], we play a key operational role in support of the Internet Assigned Numbers Authority (“IANA”) function as the Root Zone Maintainer [see: http://www.ntia.doc.gov/legacy/DNS/CurrentProcessFlow.pdf ]. In this role, we provision and publish the authoritative data for the root zone itself multiple times daily and distribute it to all root server operators. "Under its new gTLD program, ICANN has recommended delegations into the root zone of a large number of new gTLDs. In view of our role as the Root Zone Maintainer, and as a root server operator, we face increased risks should ICANN’s delegation of these new gTLDs, which represent unprecedented changes to the root zone in volume and frequency, cause security and stability problems within the DNS and/or for parties who rely on the DNS. Such risks include potential instability of the DNS including potential fragmentation of the DNS should ICANN’s delegations create sufficient instability, and potential claims based on our role in the root zone provisioning and delegation process. These risks, alone or in the aggregate, have the potential to cause serious harm to our Registry Services business. Further, our business could also be harmed through security, stability and resiliency degradation if the delegation of new gTLDs into the root zone causes problems to certain components of the DNS ecosystem or other aspects of the global DNS, or other relying parties are negatively impacted as a result of domain name collisions or other new gTLD security issues, such as exposure or other leakage of private or sensitive information. "Additionally, DNS Security Extensions (“DNSSEC”) enabled in the root zone and at other levels of the DNS require new preventative maintenance functions and operational practices that did not exist prior to the introduction of DNSSEC. Any failure by Verisign or the IANA functions operator to comply with stated practices, such as those outlined in relevant DNSSEC Practice Statements, introduces risk to DNSSEC relying parties and other Internet users and consumers of the DNS, which could have a material adverse impact on our business. "On March 14, 2014, the National Telecommunications and Information Administration announced its intent to transition key Internet domain name functions potentially impacting our Root Zone Maintainer function. "On March 14, 2014, NTIA announced its intent to transition its oversight of the IANA function to the global multi-stakeholder community. NTIA asked ICANN to convene global stakeholders to develop a proposal to transition the current role played by NTIA in the coordination of the DNS. The NTIA is also coordinating a related and parallel transition of related root zone management functions. These related root zone management functions involve our role as Root Zone Maintainer under the Cooperative Agreement. At NTIA’s request, we submitted a proposal with ICANN to NTIA as how best to remove NTIA’s administrative role associated with root zone management in a manner that maintains the security, stability and resiliency of the Internet’s domain name system. We have performed the Root Zone Maintainer functions as a community service spanning three decades without compensation at the request of the Department of Commerce under the Cooperative Agreement. 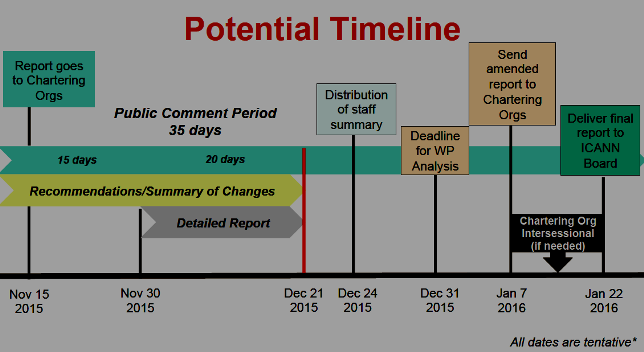 While it is uncertain how the transition of oversight of the IANA function and related root zone management functions will affect our role as Root Zone Maintainer, it is anticipated that performance of the root zone management function would be conducted by us under a new root zone management agreement with ICANN once the root zone management function obligations under the Cooperative Agreement are completed. Although our Root Zone Maintainer function is separate from our Registry Services business, and the NTIA announcement does not affect our operation of the . com, .net and . name or other registries, including the root zone, there can be no assurance that the transition of the IANA function, the transition of the related root zone management functions and associated transition processes will not negatively impact our business...."
Coley Andrews | Pacific Lake Partners: "Coley Andrews is a Co-Founder and Managing Member of Pacific Lake Partners. Since co-founding the firm with Jim Southern in 2009, Coley has worked with over 50 Search Funds. He currently serves as a Director at Inspired eLearning, Aquavita, dESCO, and Data Fusion Technologies and as a Board Visitor at AlphaCredit, Raptor Technologies, Scottish American, Arizona College, and Vector Disease Control International." What's a Search Fund | Pacific Lake Partners: The Search Fund model is a proven, viable path for entrepreneurs who want to own and build a company. The Search Fund model offers relatively inexperienced, recent MBA graduates with limited capital resources a quick path to owning, managing, and growing a company, or "Entrepreneurship through Acquisition." Pacific Lake Uses ‘Very Obscure’ Strategy To Help Entrepreneurs - Venture Capital Dispatch - WSJ: Dec 30, 2009 "Pacific Lake Partners is raising $35 million, but not for your run-of-the-mill venture fund – it’s for a rare breed of fund that provides capital for young entrepreneurs to search for a potential buyout opportunity. The investment strategy, known as a search fund, is “very obscure,” Pacific Lake Partner Jim Southern said. But it’s one informed by Southern’s own business experience." ICANN54 Final Video Interview with Steve Crocker and Fadi Chehadé, interviewed by ICANN's Head of Communications for Europe, the Middle East and Africa, Luna Madi. The interview of ICANN Board Chair Steve Crocker and President and CEO Fadi Chehadé occurred at the close of ICANN54 in Dublin. Video above published by ICANN on Oct 23, 2015. 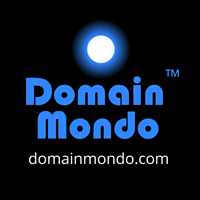 The demand for the new domains came from "the people who have the budget to send a lot of people to every ICANN meeting, and participate in every debate", that is, the domain name registrars who simply want more names to sell, so they can make more money. But these new domains don't seem to be working. "They're gradually rolling out, and they are all commercial failures." "I'm sure that there will be another 2,000 of them sold, because $185,000 to pay the application fee for each one [is] chump change to the companies who want to make money doing this." Creating the new domains goes against ICANN's purpose--"ICANN is a 501(c)(3) non-profit public charity [under the California Nonprofit Public Benefit Corporation Law], and their [ICANN's] job is to serve the public, not to serve the companies... I think that until they can come up with an actual public benefit reason they should be creating more of these, they've got no cause to act;" "there should be no price at which you can buy .microsoft, but there is, and that's a mistake. That indicates corruption, as far as I'm concerned." Translated: Many new gTLDs (new generic top-level domains) are failing, and we (the new gTLDs lobby) want ICANN (and the global internet community) to financially support us and 'save us' from the consequences of our failing to do proper 'due diligence' before applying for unwanted, unneeded new gTLD(s), for which nobody, including ICANN, guaranteed 'success,' and now we want YOU to give us YOUR money. Have these people (new gTLDs lobbyists) no shame? Actually, Ms. Taylor apparently was not listening--it was announced at the beginning of the Forum that this was not the time nor place to make comments about issues for which there are, or would be, ongoing ICANN processes open for public comments--see: New gTLD Auction Proceeds Discussion Paper Open for Public Comments until 8 Nov 2015 23:59 UTC. Wolfgang Kleinwachter: ... Cherine will take the first part of your question. [ICANN Board Member] Cherine Chalaby: Regarding the -- what to do with the auction money, I think this is -- we are committed that this is going to be a community decision, and the Board is not going to direct where this money is going to be. So you got to give your input. I think the GNSO is going to you know, undertake the work there and make a recommendation on this issue. And they use the community input as a whole in that. So that's an important thing. Thank you very much. We have heard this same refrain from the new gTLDs lobby, over and over again, at other ICANN Public Forums--see: ICANN is NOT a new gTLDs Marketing Agency: ICANN 53 Review, Part 3 (June 29, 2015). I'm here at the ICANN 54 meeting in Dublin with Jonathan Robinson the Chair of the GNSO Council. Jonathan ... your time will come to an end in Dublin, what are you thoughts of the GNSO and the state its in at the moment? I think we're in a good state in many ways. I mean we we've done a lot of work to make sure that things operate smoothly and that we work in an effective way and that that goes through many different layers, that's in terms of the personal relationships with, between the councillors through to our understanding of each other's constituencies and stakeholder groups, knowledge of processes and procedures, effective working with staff, so feels to me that we're in pretty good shape and I feel proud to be handing over the chair of a critical organ in the ICANN infrastructure to a successor Chair, so I think we're in good shape. Over the past three years changes have taken place ... I think the overarching theme we tried to put in place at three years ago was to look at a process of continuous improvement and in doing so we looked at a number of different areas it was was in terms of the underlying processes what we with within the operating procedures of the way in which the council manages the policy, how we could do any of those things more efficiently and more effectively. For example when we now do the preparation of an issue report with a draft charter in there that the council is not obliged to accept that has the opportunity to accept if the council accepts that we end up with a more efficient start to the PDP process ... we've concentrated on a number of different areas we concentrate on where we can improve those processes and we can get greater throughput. We've concentrated on how we might best rely on the staff that support the council and staff were able to take on significant amount of work provided we trust and had an effective working relationship with the staff . We need to have good interpersonal relationships between those Councillors because we're often dealing with quite contentious matters and so one of the things we've done is concentrate on making sure when we know and understand one another from both a constituency and stakeholder group level. We try to understand the way in which the different groups work, in which they come to decisions in which in which they empower the councillors to work, but also we spent some time out of council meetings getting to know one another in making sure we know and understand each other as individuals. What are your thoughts for the incoming Chair? I feel like I'm handing over something in good shape, but that doesn't mean there isn't lots of work to be done. And I think one of the one of the key areas that might help will be to start to think of the work of the Council as being managed and handled by not only the Chair alone, but the Vice Chairs and a competent policy staff. So I think the critical thing to do, because one of the key challenges is dealing with a high and increasing volume of work is to pull together with the Vice Chairs and support staff and see that as the team through which that increased throughput is generated. Thank you very much for your time and good luck for the future. Thank you very much. About the GNSO | Generic Names Supporting Organization: "The Generic Names Supporting Organization fashions (and over time, recommends changes to) policies for generic Top-Level Domains (e.g., .com, .org, .biz). The GNSO strives to keep gTLDs operating in a fair, orderly fashion across one global Internet, while promoting innovation and competition. Sample GNSO issues: When you register a domain name, what services must the registrar provide? If you forget to renew your domain name, and it expires, can you get it back? What happens if someone registers a domain name that is confusingly similar to yours? Resources posted here will help you learn more about the GNSO and its policy development process." The GNSO is comprised of Stakeholder Groups--"constituency" is a technical term referring to a group of Internet users united around a particular common interest or perspective, formally recognized by the GNSO Council.